What is Virtual Hosting and How it's working for..? Re: What is Virtual Hosting? This is nice opportinity for you SEO strategies. You can create several mirror websites on one server. A Virtual hosting is the new hosting technology where you find the freedom of a dedicated server at cheap cost. In Virtual hosting a larger server space is partitioned into numbers of block and each block works like a dedicated server for individuals. Actually these blocks shared same resource but they are isolated from each other. 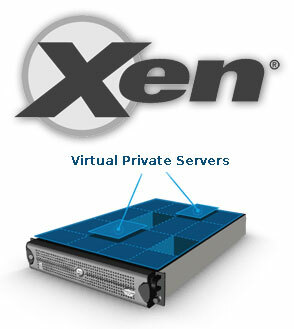 Virtual Hosting - Allows for multiple websites to be hosted behind one IP address. The best example of this is our shared hosting accounts on our shared servers where you only have an account with a control panel. Virtual Private Server - Allows for a physical server to be sectioned up into virtual servers for which you have root access to. If you know Linux command line then you can get things done a lot faster and have access to features you would not on Virtual or "shared" hosting -- where you only have a cPanel or LunarPanel account. Another way to think of this is a big powerful server sectioned off into smaller mini servers. LunarPages offers "Scalable Cloud" where you can move a slider up and down for more CPU cores or disk space as you need it. Virtual hosting is the provision of Web server hosting services so that a company (or individual) doesn't have to purchase and maintain its own Web server and connections to the Internet. On the web, virtual hosting is that the provision of internet server hosting services in order that a corporation (or individual) does not ought to purchase and maintain its own internet server and connections to the web. A virtual hosting supplier is typically known as an online or web "space supplier." Some firms providing this service merely decision it "hosting." generally, virtual hosting provides a client UN agency desires an online web site with: name registration help, multiple names that map to the registered domain name, associate degree allocation of file storage and directory setup for the online web site files (HTML and graphic image files), e-mail addresses, and, optionally, computer creation services. The virtual hosting user (the computer owner) desires solely to own a File Transfer Protocol (FTP) program for exchanging files with the virtual host. Some virtual hosting suppliers build it potential for purchasers to own a lot of management of their computer classification system, e-mail names, passwords, and alternative resources and say that they're providing every client a virtual server - that's, a server that seems to be entirely their own server. once a client will so need to own its terribly own server, some hosting suppliers permit the client to rent a fervent server at the hosting provider's location. If a client is allowed to position their own purchased instrumentality at the provider's location, this can be called collocation. Virtual hosting is the act of using a remote hosting service provider to host websites, data, applications and/or services. Virtual hosting enables a myriad of IT services and solutions that can be deployed, hosted and executed from a remote server or computing facility, where the backend infrastructure is completely managed by the provider. Virtual hosting is also known as Web hosting. Cloud hosting will be cost efficient but you will sacrifice speed and security here. Cloud hosting is too new to have much of an established track record, but so far there is no evidence that it's any slower or less secure than traditional hosting. Many major applications are hosted in the cloud. Whether you trust the cloud host itself to not peek at your very sensitive data is another issue, but in that case you need to physically host it yourself (a traditional host's administrators can look at your data just as easily). The biggest selling point of cloud services is that you can very quickly ramp up (or down) your server capacity, without being locked into a fixed capacity server. To some extent, you can end up paying only for what you use (although probably at a slightly higher price than a fixed server size). This can be advantageous for short-term projects, such as a Halloween-themed store that's going to be busy only during the month of October, or a one-off project where you don't want to buy a lot of hardware that you'll only use for a short time. It is actually a virtual machine sold as service by an Internet hosting providers. A VPS runs its own copy of an operating system, and customers have superuser-level access to that operating system instance, so they can install almost any software that runs on that OS.